It finally snowed! We've had 50s all December and up until January. Not normal. 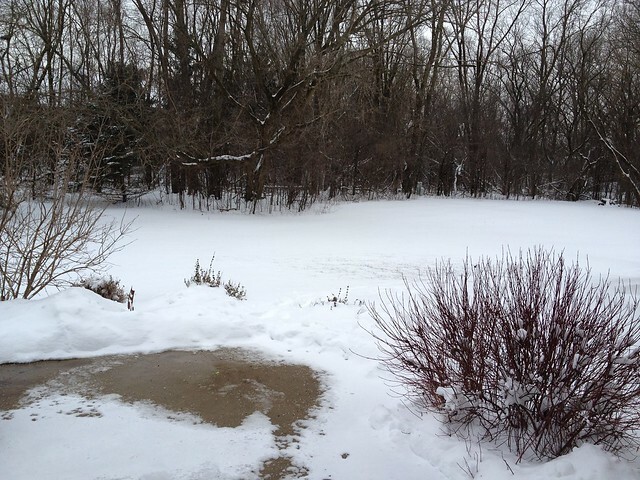 We should have had at least 10 inches by now and we've had only the past 4-6 that we received overnight! Woo hoo! But... the Hazz and I had to get excited for the non-existent snow. 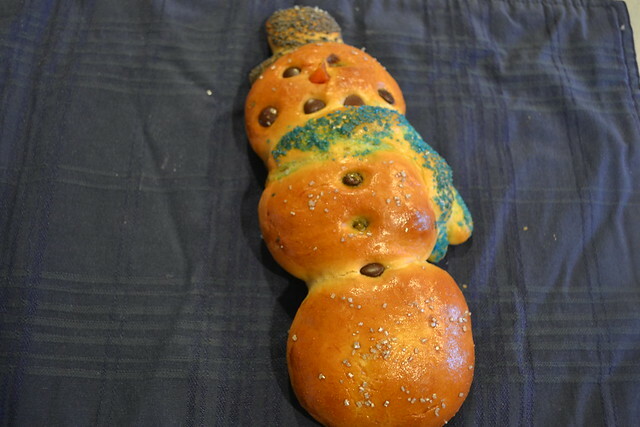 In December, we made our own little challah Frosty. We started with three little balls of challah, flattened with our palms. We then cut the hat out of a rolled piece (a square plus a tiny long line). 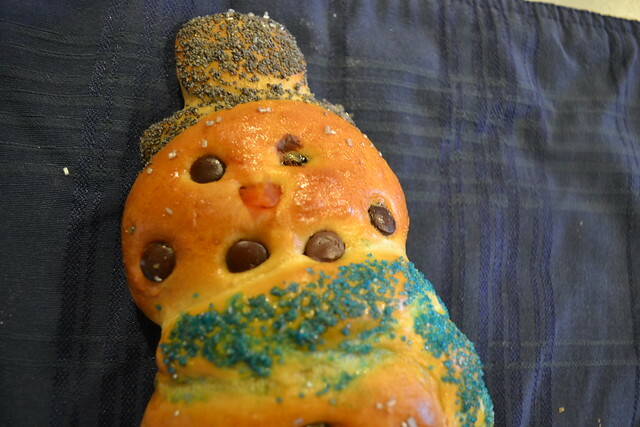 Coal eyes were chocolate chips and a piece of dried apricot for the carrot nose. Then we added an egg wash. Using a method that I learned from This Good Life on Polka Dot Challah a while ago. Dip your thumb in any left over egg wash and then dip in the sprinkles or topping. Dab on in specific place you'd like. 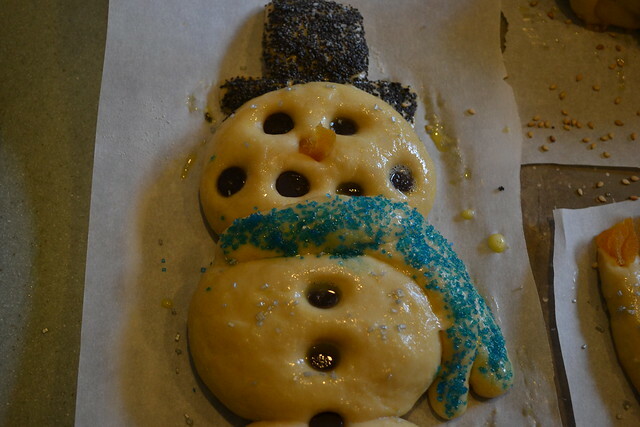 We used cookie sprinkles for the scarf and poppyseeds for the hat. Then The Hazz sprinkled silver sprinkles over the whole shebang. You know, for snow. What we sort of forgot was that challah browns in the oven. So, he's Frosty with a tan. 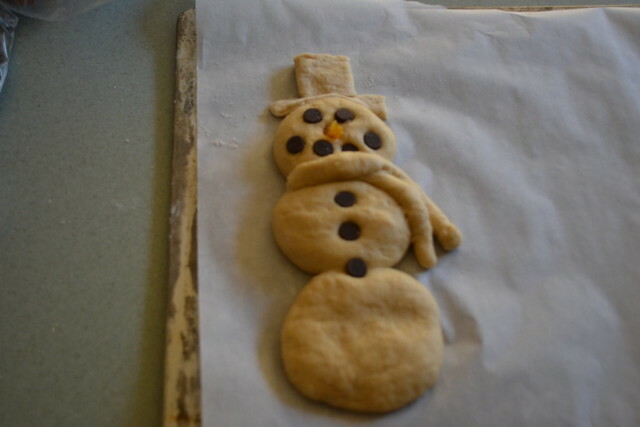 He was delicious! Tasted like a doughnut! !